A Nation, a City is known by its history and the history of Belgaum is on Sale at Ebay. 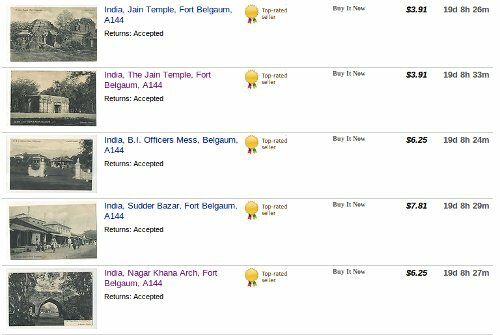 Old photographs most of them taken by S Mahadeo and Sons which are in the form of vintage cards are on sale on Eaby website. Not many must have had a chance to see the city as in those photos. The history of Belgaum is on Sale anybody interested to buy? hmmm any things rather photos ..?? ?